On Sunday, March 9 at 8:39 p.m., a hit-and-run traffic accident was reported at the intersection of Swede Alley and 4th Street, close to the China Bridge garage. The police were told the front license plate of the victim’s vehicle was knocked off and the hood was scratched. Graffiti was found off the 700 block of Main Street, along the Poison Creek Trail, at 5:27 p.m.
A man suspected to be intoxicated reportedly was in a hallway knocking on doors in a building on the 2300 block of Sidewinder Drive. The man claimed to be a security guard, the police were told. The Police Department classified the case as disturbing the peace. The police at 12:55 a.m. received a report about a loud hot tub party somewhere along Park Avenue at 12:55 a.m. At least six people were there, the police were told. They were told to be quiet and went inside, the police said. On Saturday, March 8 at 11:39 p.m., a police officer pulled over a driver along S.R. 248 after the other vehicle reportedly nearly sideswiped the police vehicle as they traveled in opposite directions. At 8:59 p.m., a wallet was found on the 500 block of Main Street with what was described as a "significant" amount of cash inside. The person who apparently found the wallet contacted the police wanting to turn it in. At 7:37 p.m., people were reportedly seen throwing snowballs at vehicles, apparently along the Mine Road. 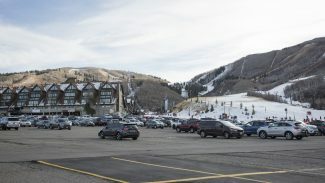 The Police Department in the course of an hour starting at 12:05 p.m. responded to at least 16 parking problems reported on Silver King Drive. At least two of the cases were on the 400 block of the street. In one of the cases, there was a complaint about vehicles parked on both sides of the street. A vehicle burglary somewhere along Norfolk Avenue was reported at 10:20 a.m. The break-in occurred on Feb. 23, the police were told. The vehicle had been parked in a driveway and a wallet was taken, the police said. The police at 3:38 a.m. received a report of noises sounding like fireworks in the vicinity of the intersection of Monarch Drive and Little Bessie Avenue. A mailbox there was blown up two weeks beforehand, the police were told. On Friday, March 7, the police at 11:44 a.m. received a report of suspected rental fraud involving a property along Rossie Hill Drive. Public police logs did not provide details. 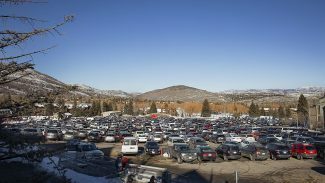 A man was reportedly seen selling lift tickets on the secondary market at 10:02 a.m. on the 1300 block of Lowell Avenue. Security guards apprehended the man with assistance from the police, the Police Department said. A suspected drunken driving case was reported at 12:44 a.m. at the intersection of Park Avenue and Homestake Road. On Thursday, March 6 at 8:43 p.m., a burnt food triggered a smoke detector at a residence along Oakwood Drive. On Wednesday, March 5 at 6:37 p.m., the police received a report that $1,100 in a wallet that had been stored in a locker was missing when the person returned. The wallet was left behind when the cash was taken, the police said. The case was logged on the 2000 block of Deer Valley Drive. At 4:50 p.m., the police received a delayed reported that a purse had been stolen from a vehicle somewhere along Main Street. The purse disappeared three weeks prior to the police report. On Tuesday, March 4 at 11:10 p.m., someone complained that a bus was idling along the 1800 block of Park Avenue. 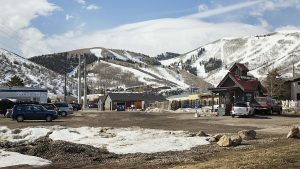 At 2:29 p.m., the police received a report that skis had been stolen on the 2200 block of Deer Valley Drive. The skis disappeared a few days prior to the police report. Three bicycles were reportedly stolen from a garage somewhere along American Saddler Drive the night before the 10:01 a.m. report to the police. 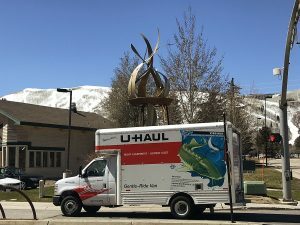 On Monday, March 3 at 10:22 p.m., a car parked in a Heber Avenue garage was reported to have been vandalized. The vehicle was parked at the location for approximately two hours, the police were told. At 2:47 p.m., the police received a delayed report of stolen skis on the 7600 block of Royal Street. The skis disappeared a few days prior to the report. A wheel was reportedly stolen from a car parked in the China Bridge garage at 2:15 p.m. The vehicle was towed to the victim’s home. A suspected drunken driving case was reported at 2:38 a.m. on Short Line Road.